Identifying Investments in Alternative Energy. Aiding in the growth and development of the California alternative energy industry while providing opportunities for the EB-5 Investor Visa Program. Over the next several decades, energy investments will experience the largest increase in the history of the world... literally trillions of dollars. The increase in investment is part of a natural cycle in which Science, Business, and Government work towards creating, developing and financing technologies which are aimed at meeting the demand for energy. Precisely how current and future energy needs are to be met is being debated not only on a daily basis in the worldwide media, but in unprecedented meetings of world leaders, like the Copenhagen United Nations Climate Conference. Underlying these discussions are crucial economic decisions that affect the employment prospects of almost everyone on the planet. A recent front-cover story in Time Magazine, "Why California is still America's Future" (November 2, 2009) demonstrated that California leads the U.S. and the world in the development and application of energy-related technologies. California is a hotbed for firms for energy-related job creation. The multitude of entities engaged in clean energy range from those that have made their mark in microchips, software, and the Web, to those that spark California's leadership in energy patent registrations, and those who are applying new ideas along a spectrum of biomass, efficient oil extraction, solar power, wind, water recovery, geothermal and other energy generation. The newly formed California Energy Investment Center is an excellent position to identify projects which are capable of astutely using investment capital to generate profits and to create sustainable jobs. Although known more for its abundant sunshine, beaches, and film industry, throughout its history California has been a focal point for energy development. California, Texas, Alaska and Louisiana still have among the largest oil reserves in the world. Ironically, the development alternative energy as a focal point for future energy development has its roots in two oil-related events: the Unocal blowout in 1969 and the Exxon Valdez spill in 1989. These events imprinted a direct connection between dependence on oil and environmental protection, and California quickly became known as a source of technological innovation. Venture capitalists, universities, and businesses raised the profile of alternative energy investments and the development of products and services to unprecedented levels. In terms of worldwide employment in the energy industry, oil predominates and will continue to occupy a dominant position on the world economic stage. However, things are definitely changing. Even the nature of jobs within the oil industry is changing with more capital being invested in new cleaner more efficient methods for oil and natural gas extraction. By 2030, even though oil and gas employment growth rates will be about the same, the biggest growth in jobs will be in alternative energy and, ironically, in coal. To put the situation into perspective, in terms of the energy supply necessary to meet demand, in twenty years the output of three (3) Saudi Arabia will be needed in order to meet demand. For the next several decades, smaller companies with unique ideas will provide the risk capital and management which will establish the viability and profitability of alternative energy. With the exception of Conoco Phillips, the basic business model of the large oil companies is focused exclusively on oil production and refinement; from a reading of company mission statements, this is not going to change. The large producers will likely try to develop oil reserves from deepwater drilling, heavy oil, oil shale, and nonconventional oil extraction means, including from old wells. The major oil firms will be in a transition which will, eventually, lead them to diversify through acquiring many of the alternative energy firms that are currently in the development stage. To Big Oil, alternative energy represents a hedge on future oil supply and a politically prudent future path. 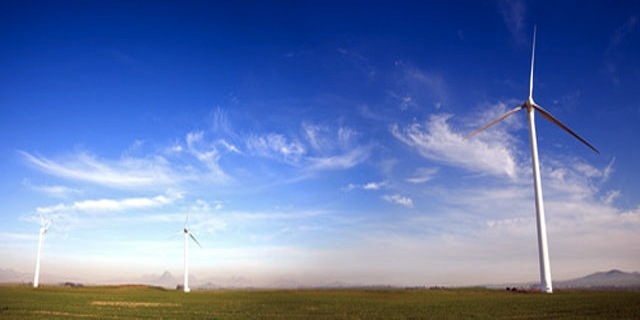 Alternative energy investment is based on a diversification scenario, i.e. adding renewable energy to existing oil, gas, and coal. The best resources and strategies in this diversification approach involve efficient oil extraction (a relatively small step in terms of adapting existing core competencies within the oil industry), solar power generation (due to plentiful sunlight and government support and mandates) and biomass (due to abundant agricultural and other wastes). All of these technologies have the advantages of scalability and relatively easy deployment. In the U.S., over the last four decades, virtually 75% of jobs created have been derived from firms with fewer than 500 employees. The size of many of the firms engaged in alternative energy definitely fit this profile. The case for alternative energy and job creation can be modeled on the development of the information technology (IT) industry whose development and continued worldwide growth was and is part of the California success story. It should be remembered that a 50% growth rate in application of alternative energy technology -- about the same rate at which information technologies were developed and deployed -- will meet about 10-15% of the worldwide energy needs over the next two decades. There is still plenty of room to grow. Like IT, alternative energy is not a fad, but a strong trend with, potentially, many decades or more of steady growth. In my opinion, based upon projected growth in alternative energy and the availability of huge coal reserves, within the next thirty years the U.S. will undergo a shift from being an energy dependent nation to becoming a net exporter of energy, and related energy products and services. It should be remembered that the U.S. is currently the third largest energy resource producer in the world behind Russia and Saudi Arabia, and just ahead of Iran, China, and Venezuela. Based upon a review of sponsored and public research and related forecasts, a new wave of environmentally friendly technologies is on the horizon. New coal burning technologies will be important because 60% of the future global CO2 omissions will come from the developing world. Also, it is likely that U.S. trade in developed technologies will lead to job creation. Europe and Japan are major users of energy and low on the list of energy producers; therefore, they are more likely to develop alternatives to fossil fuels which may include coal, solar, biomass conversion, wind, geothermal, and nuclear power generation. Jobs are also likely to be created from the development of both the hardware and software relating to alternative energy technologies. California stands to be a major beneficiary of connecting alternative energy and information technologies because it has the greatest concentration of technology companies in the world which make possible sizeable gains in energy efficiency from smart grids. In establishing the California Alternative Energy Investment Center, we selected our initial projects based upon the relative readiness of the companies to take advantage of the economic, regulatory, and investment trends. Job creation is not only a high priority for these project companies, but is also mandated by our approval agency, the U.S. Citizenship and Immigration Service. Although both the private and public investment cases for alternative energy are strong ones, alternative energy is just starting to come into its own and should not be viewed as a quick-fix. Energy is a complex issue involving unprecedented elements of size and scale. Patience is an absolute necessity both in terms of the large scale prospects for global change in energy supply, and also with respect to a particular investment in a technology or project. Dr. Joseph J. Penbera received his degrees from Rutgers, The Baruch School and The American University, and did postgraduate training at Harvard. Chairman of PenberaParis, a firm whose clients have extended globally and in many sectors, he has served on the boards of leading corporations, and as dean at two universities. Author of more than twenty books and articles, his most research was published this summer in The MIT/Sloan Management Review. Previously, he has been cited as one of the best forecast economists in the nation by Knight Kiplinger, editor, The Kiplinger Magazine, and received the Paul Harris Medal for outstanding civic service. View the biographies of the CEIC team. Learn more about the EB-5 Program and other Immigration procedures. View the available EB-5 Projects. Or send a message via email.